Because their reputation is sullen in America and we are sick of this “Greedy Bunch”, the Jackson Family often take their exploitations of Michael Jackson overseas. Since Michael’s death, the so-called Family’s so-called tributes have been non-stop. 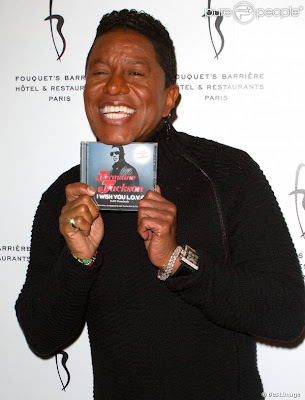 Jermaine Jackson’s latest feast on Michael’s corpse comes as “a musical comedy”, adapted from his book titled "You Are Not Alone." The Shows will take place in Paris on January 21, 27 and 28, 2013. Jermaine will perform songs alongside David Serero. 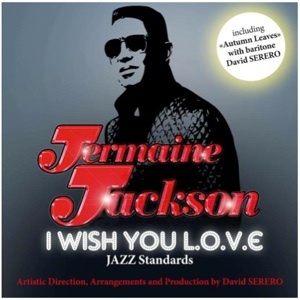 While promoting his musical and new jazz album in Paris, Jermaine dissed Michael Jackson’s Cirque Du Soleil Shows……… that he had previously lauded. The following is translation of Jermaine's French interview with Le Parisien. 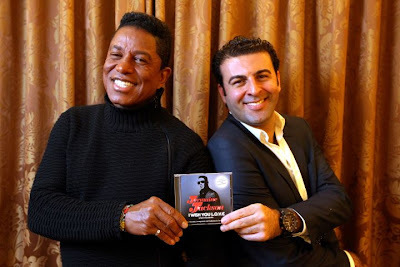 Jermaine Jackson was in Paris to promote his show on the life of King of Pop. He criticizes other competitor shows. Jeans, sweater and sunglasses, he welcomes us into his suite at the Fouquet's where heating is pushed to its maximum ("Jermaine hates the cold," explains his entourage). The fourth son of the Jackson siblings visits Paris to promote "You are not Alone", which will be played at the Variety Theatre on January 21, 27 and 28th. The musical was adapted from his published book in which he traced the life of his brother. The show will combine anecdotes and Family films which will be performed onstage by Jermaine and opera singer David Serero. Q: So what will the show be like? JERMAINE JACKSON: We want to explain the relationship Michael had with his family. They write a lot about us but now we are telling the truth. And we want to deliver the best vocal performance. Q: There are a lot of shows dedicated to your brother since his death. What do you think of them? JERMAINE JACKSON: I saw "Thriller Live" here in Paris and I loved it. But there are other shows that are not up to it, including the Cirque du Soleil. It’s not the Family who is behind these shows; it is the executors of Michael’s Estate. We didn’t have any say on these shows. We are against these shows. Michael would never have approved these shows. His legacy should be in the right hands. JERMAINE JACKSON: People outside of the family want the family to be divided. Q: There are a lot of questions about your brother’s death. Do you hope to discover the whole truth one day? 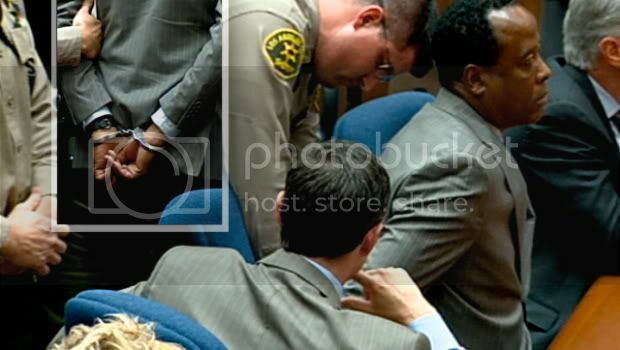 JERMAINE JACKSON: We still have lots of questions; we will never know the truth..
Q: You recently filed an application with the U.S. administration to take the pseudonym "Jacksun." Why? JERMAINE JACKSON: *Sighs* I went to see a lawyer in a tiny little office and I filled out a form . Jacksun is a reference to the sun. Because I love being in the sun - Michael loved it too. But in my business, I am keeping the name of Jackson. Q: What does your family think [about the last name change]? JERMAINE JACKSON: Nothing. Only the media talks about it. As usual, Jermaine assumes the Family spokesperson role, stating that the Family is against Michael Jackson’s Cirque Du Soleil Show and that they had no say on the production. As usual, Jermaine's statements are contradictory to his previous statements and conflicting with the facts. Jermaine had PRAISED Michael Jackson’s Cirque De Soleil Show after attending it in Nov 2011.
he means HE had no say in the production. Jackie Jackson was very much involved. Q: How involved were you with the Immortal production? JACKIE JACKSON: From the very beginning, I was there helping them put things together. They brought me down before the show came out and they did a whole run through for me. I was with the whole team. I was so happy to help them and they were so excited to meet me. Michael Jackson’s Children, Paris, Prince and Blanket attended the Cirque du Soleil in Montreal in October 2011, in Las Vegas in December 2011 and in Los Angeles in January 2012. 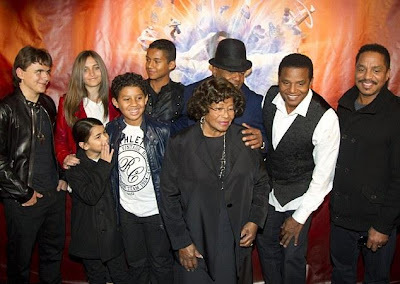 The children also attended the Immortal Tour promotional events - Dancing With the Stars Michael Jackson Tribute Night and hand & foot Imprint Ceremony at Grauman’s Chinese Theater in Hollywood. Michael Jackson’s Cirque Du Soleil shows garner acclaims from around the globe as well as from the Jacksons whose opinions matter. When Michael was alive, too, Jermaine used to interject himself into Michael Jackson’s life, trying to steal an ounce of Michael’s dazzling light onto his irrelevant self to promote whatever lackluster crap he is promoting at the time. Some things never change. THIS is why Jermaine was excluded from Michael's life when the Gloved One was alive and THIS is why Michael’s Estate wants nothing to do with this sour-grapes loser. Michael Jackson Kids Talk Cirque: Michael "would have been proud"